Just saw the Paranormal Witness episode The Harpy. It was awesome. The last couple of episodes have been the best. That's saying a lot since I love this show. One episode was about these clawed demons racing through this man's house. My dog, with her claws, had picked an unfortunate moment to walk across my wood floor- nearly scared me to death. At the end of The Harpy was a note that this was based on the most haunted house in the U.S- The Sallie House. I'd never heard of it so, I did some research. 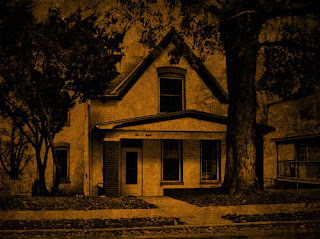 The Sallie House in Atchison, Kansas quickly earned a national reputation as one of the most haunted places in the U.S. The house was built between 1867 and 1871. For years, tenants of 508 N. Second Street have reported harmless happenings like electrical appliances switching on and off and pictures turning upside down as well as violent attacks that left victims with welts and bloody scratches. There have been full-bodied apparitions and objects flying through the air. Items have moved, been misplaced or lost only to reappear or show up later or at another location. Phantom furniture has been heard along with thumps, thuds, knocks, scratching and the sound of animals and human voices. Although some voices have been heard with the naked ear, there have been a significant amount of EVP (Electronic Voice Phenomena) captured, further depicting the voices of men, women and children. Many have experienced extreme smells. The house was brought to national attention when Debra and Tony Pickman lived there from 1992 to 1994 and had many disturbing encounters, including physical attacks on Tony, which were documented by the Sightings television show. There has been physical harm to the occupants and investigators in the form of scratches, burns and cuts. Although the majority of these attacks have often been centered on Tony, there have been a few others who have also been the focus of the physical harassment. It's called The Sallie House because the daughter of some previous tenants had an imaginary friend named Sallie and because of the vast amount of interactions between Sallie and live entities. According to one legend, the first haunting began around 1906 after a small girl named Sallie was brought to the doctor for a severe stomach ache. The doctor determined that she was suffering from appendicitis, but Sallie panicked and refused to hold still which resulted in her dying on the operating table before the doctor could prepare her six-year old body for surgery. Sallie's ghost has remained at the house throughout time, and for whatever reason, a host of other spirits have followed her there and remains with the young girl. 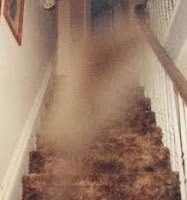 The more dominant and darker spirits appear to zone in on the males living in the house and warn them to leave through direct contact from scratches to their bodies. Animals act in a disturbing nature by barking and howling at unseen forces. Each tenant has dealt with the contents of their home being turned upside down, and objects are often misplaced or disappearing altogether. Investigations into this house continue, but it was initially investigated by the television show Sightings back when Tony and Debra Pickman lived there with their newborn son in 1993. Numerous psychics have entered the picture in order to help along the way, including Barbara Connor and the world-renowned Peter James who has worked on the haunting of the Queen Mary for many years. Paramount Pictures, the Travel Channel, KQ2 News out of St. Joseph, Missouri, Channel 4 News out of Kansas City, Kansas, the Discovery Channel and the Biography Channel have all been involved in documenting this story since 1993. Given the opportunity, I might check this house out. I'd get a good story out of it either way. I'm curious. I don't believe or disbelieve in ghosts, but I wonder what logical explanations people have for The Sallie House. On a lighter note, hope you had an awesome Thanksgiving. I had a great time. Came home with a lot of food. I'll be eating good for at least a week.